Never underestimate the power of your imagination! Through guided visualiations you can gain incredible insights into your self, the workings of the Universe and much more. Imagery and symbolism are ways of sharing information that words sometimes cannot express eloquently or adequately enough. When you visualize you need to relax and let images, words, feelings and sound drift into your mind without trying to make them appear as you would want them to look. Become the observer watching and noting how you feel, any emotions and sensations that you experience. Everyone has one sense to utilise that is especially accute and receptive. Here I have provided a selection of guided visualizations to try out for yourself and to illustrate the content of my workshops and talks which have an esoteric element. Some, such as Animal Insight, are especially useful when done in a group setting as the symbolism can be discussed. The objective of Animal Insight is to open your Eyes, your consciousness, to experience more intimately the elements of water, air or earth. This is done from the vantage point of other sentient beings, also with eyes, that live in these elements to share their perspective on reality. Some shamans mind-share with animals. However, in this case you are using their eyes to see what they see, rather than directing their consciousness, or using their body, to do your will. Come back to the glass cube and go back through the door into your body and ground yourself by imagining roots extending from your feet into the Earth. Look up your animal to see what further insight it might give you as an animal totem. Each animal is symbolises the way you see the world logically (Earthl), emotionally (Water) and intuitively (Air). A spiral contains the energy of the creative life force that animates all beings and its essence is unconditional Love. You can use Spirals to connect with your own source of Creative Inspiration. Hands are your main tools for expressing your creativity; through writing, touch, artistic works and gesticulation. By unfurling your fingers from a clenched fist, pinkie first and thumb last, you open up your hands’ ability to create. Get comfortable and organised to minimise distractions. If you need inspiration for something specific then write your question on the back of the paper. Otherwise use this meditation to let insights come through, or to unwind and relax. Clench you hands and unfurl your fingers slowly 5 times. Now fill your paper with spirals of every shape, size and colour imaginable. Do what comes naturally and take your time. It is not about creating a work of art. The aim is to turn off your thinking mind by doodling so that inspiration can come through. And it will! For generations we have known how profound the simplest of things can be and yet we still tend to complicate our lives! Be prepared for an abstract sensory experience with the meditation Profound Simplicity of Absolutes. This meditation is about experiencing absolutes and expanding your sentience as a result. This is a ‘traditional’ meditation, so find a quiet spot and sit, or lie, in a comfortable position without crossed legs. Take 3 deep breaths to relax. Connect to pink Earth energy through your feet and white-gold Spirit energy through your crown at the top of your head. When you complete your meditation, ground yourself by imagining yourself as a deeply rooted tree and drink some water. When you are 'in' each of the shapes take note of what you see (places, people, animals, objects, symbols etc) and how you feel physically and emotionally. The red square is absolute space, blue circle absolute time and yellow triangle absolute being. Unbounded, intangible concepts. Try the same shapes with different colours or alternative shapes, such as a hexagon, rectangle, octagon and so on. Call in your higher self to act as your guide and to take you in and out of the shapes. Visualise a giant RED SQUARE in front of you. Walk up to it and through it. Red mist surrounds you and clears. Stay here for a few minutes. Walk out of the red square. Now a giant BLUE CIRCLE is in front of you. Walk up to and through it. Blue mist surrounds you and clears. Stay here for a few minutes. Walk out of the blue circle. Finally a giant YELLOW TRIANGLE appears. Walk up to and through it. Yellow mist surrounds you and clears. Stay here for a few minutes. Walk out of the yellow triangle. This guided visualization is based around the unique attributes of the natural Classical Elements that make up your physical body and sustain you. Elements is about recharging and cleansing in readiness for your work in the year ahead. 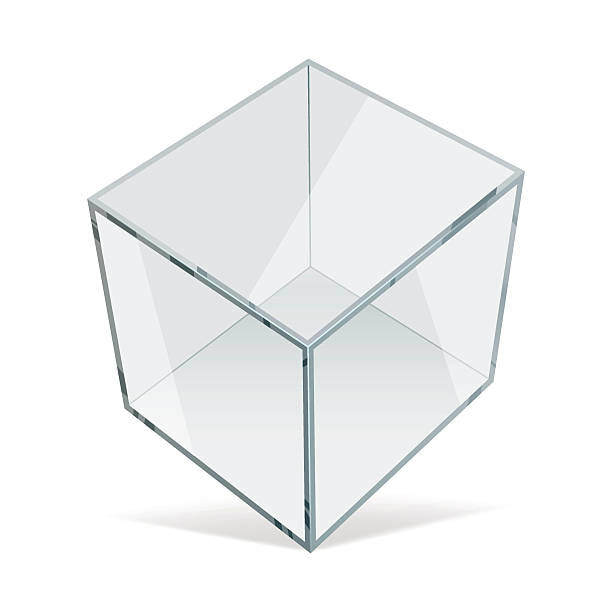 Yoru crystal cube dissolve away and you are now back in your space on the Earth, in this reality. Ground yourself. Imagine deep roots extending from your feet and once you are awake drink plenty of water. This meditation requires your imagination! Image Insight is a good way to stimulate your creativity and interpretative abilities. It is even better when done as part of a group so that insights can be shared. You will need two pieces of blank A4 paper, a pen and glass of drinking water. If you have a specific question you can write it on one of the pieces of paper. Crumple the blank piece of paper into a ball and hold it in your hands. This adds another geometric dimension to the paper! Unfold your paper and look for images, even words, among the creases. Use your pencil to outline these and/or rub a crayon lightly over the paper to help you see them. Let your imagination go! Make notes on the spare paper as you go along and then contemplate what you find and its realtion to your question. An excellent guided meditation for a group! Every time I do this with a group a common theme or meaning emerges, such as the sort of physical environment that resonates in harmony with your Heart Chakra. Have a glass of water to hand, a world map that you can draw on and a pen. I print off an A4 image like the one shown. Now you find yourself on Earth in this location - how does it make you feel emotionally and physically? Mark all the locations you visited on your map and join them with a line in order of their appearance. Note down animals and other features that appeared during your meditation. Is there a pattern to the sequence or any shapes that emerge? What is the symbolic meaning of the animals and features? Is there a common theme in the group? Notice your comfort level with the different sizes of area you experienced and the process of expansion and contraction. How did being in the box make you feel, secure and protected, or restricted...? What is the size of your final glass box? Consider any negative emotions and what they are showing you. This simple guided visualisation will help you appreciate how Squares are relevant to your perception of space. Sit or lie comfortably and close your eyes. When you have finished ground yourself and drink some water. - Feel your body sensations, open your eyes and ground yourself.